We strive to have a diversity of your favorite fruits and vegetables each week. 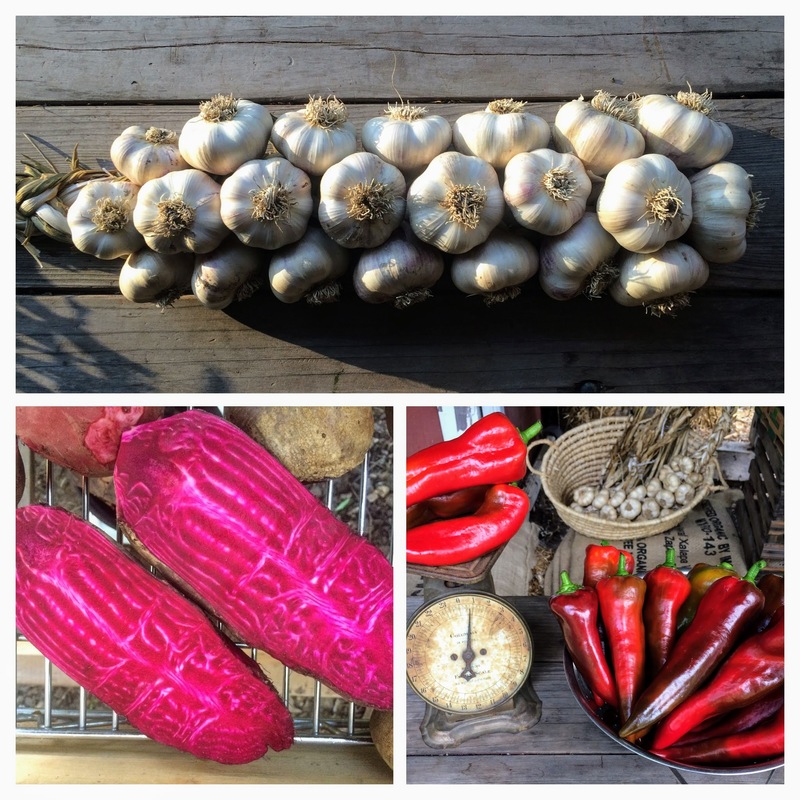 Here is a list of produce you can expect to receive in your CSA shares throughout the season. Greens: Every week I make sure to have at least a couple choices of fresh and healthful greens including head lettuce, lettuce mix, spicy salad mix, arugula, spinach, kale, swiss chard, bok choy, cabbage, collards, mustards, and more! Roots: Each week will include at least one bunch of either carrots, beets, radishes, or turnips. Often times there are two available. Fruits: Are a staple for us in the summer and fall months. We offer a variety of heirloom tomatoes, sweet peppers, eggplants, winter squash, zucchini, and cucumbers. When urban foraging is good we will also have apples, pears, sour cherries, aronia berries, service berries, raspberries, elderberries, wild plums, and peaches (All perennial fruits listed may not be available as they are more sensitive to weather variations and seasonal changes). CSA members are always encouraged to come gather fruits with me and share in the abundance! Tubers: We love our sweet potatoes and potatoes and hope you do too! Sweet potatoes are only available in October and during late fall and winter shares. Herbs: cilantro, parsley, dill, basil, mint, celery leaf, sage, chives, oregano, thyme, rosemary, sorrel, rhubarb, and nettles are just some of the herbs we offer. I strive to have cilantro available every week of the CSA because it is my favorite green of all time! I offer at least two herbs every week and also include a list of herbs that are available upon request for fresh cut during each pickup. 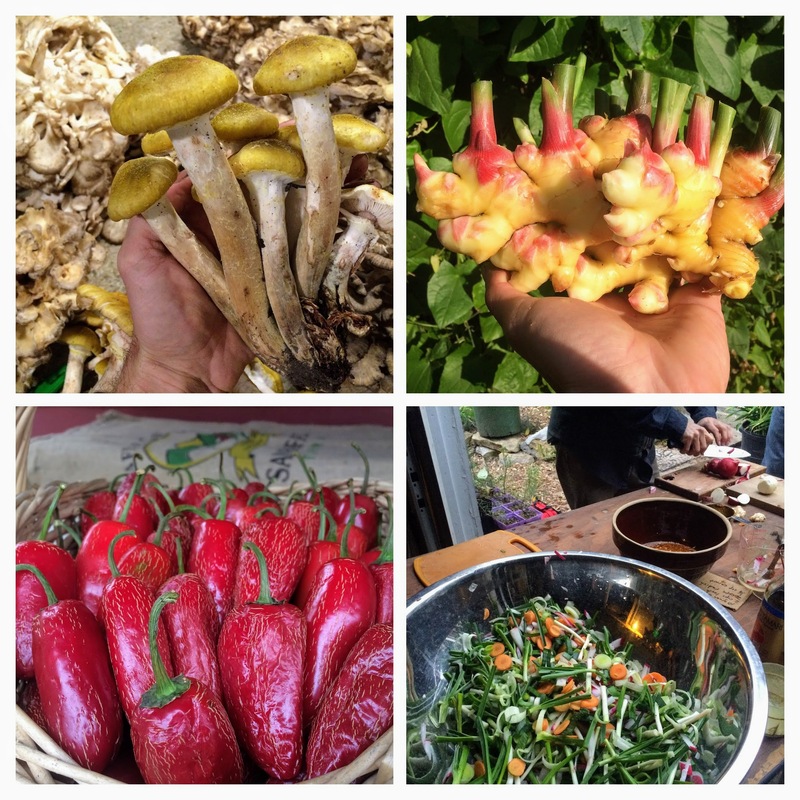 Ginger is one of my favorite rhizomes of all time and I will have plenty during late fall! I love to forage mushrooms and will have golden oysters, chicken of the woods, and maitakes available on occasion throughout the year. Dried maitakes are available as an extra purchase and are offered during the winter shares. I am always making a batch of fermented food such as sauerkraut, kim chi, Pete’s smoky beets, apple cider vinegar, and kombucha. 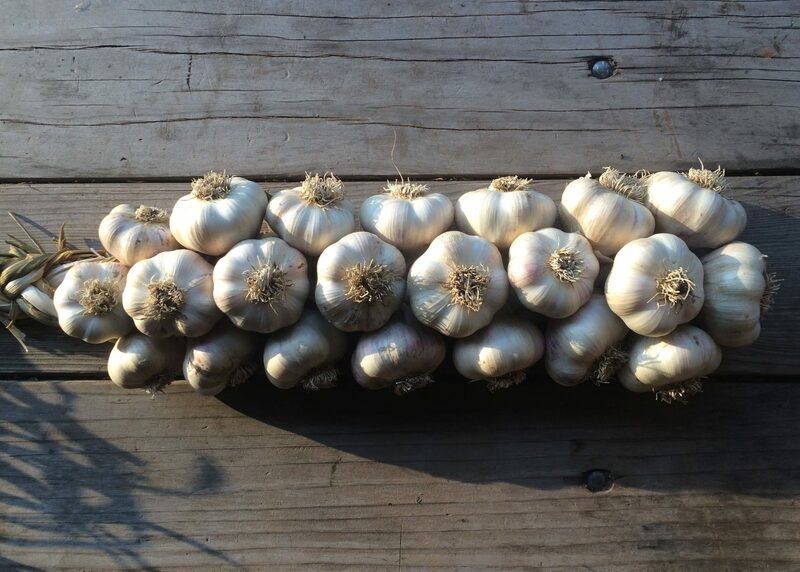 I love to share these with CSA members and it has become a unique staple of our farm. Dried herbs such as nettles, holy basil, coriander seed, red chili peppers, farm smoked chipotles, and maitakes occasionally make an appearance on the table in early spring and during the winter months. 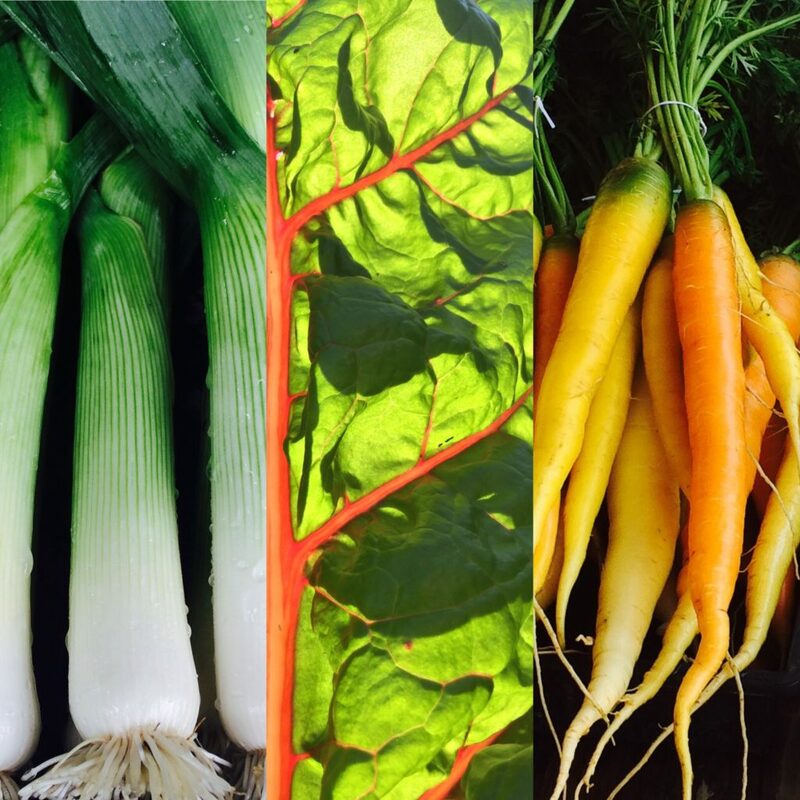 We also are friends with many local organic farmers around Iowa City and will occasionally trade or purchase their food if we have a light week or want to add diversity to the shares. 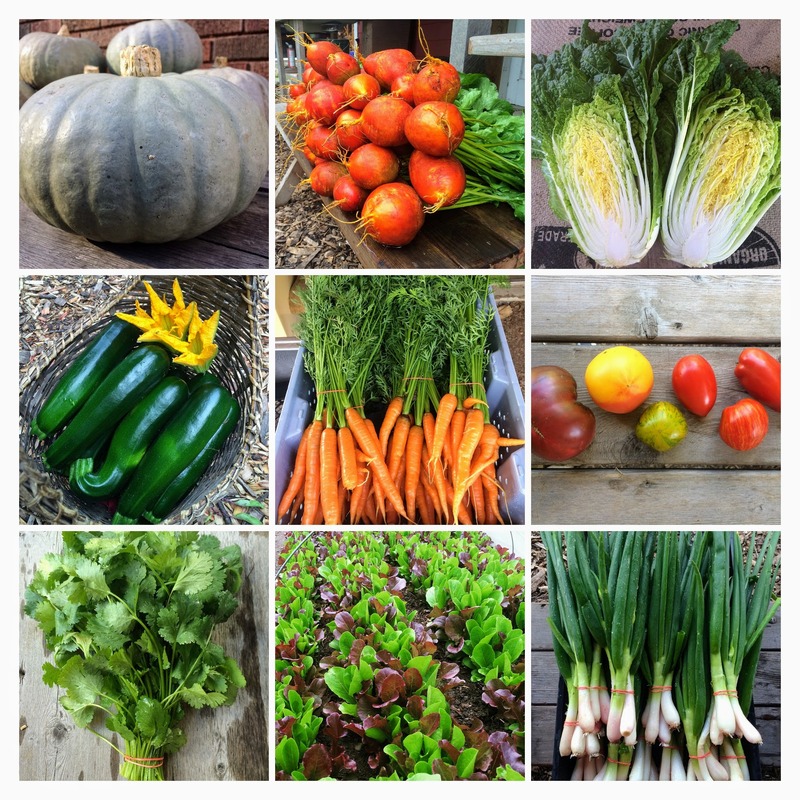 Below are a few sample weeks from the 2016 growing season and the value of each item (the pricing for items varies based on how much is offered and aims to match current farmer’s market prices for organic produce). The share is purchased up front but I have listed the prices here so you can get an idea of how the produce is valued. Some times bunch sizes are larger or smaller depending on the abundance. If you eat a lot of vegetables, especially salad greens, the CSA will be a great value for you and your family!